Back to [Natural History Resources]. This site a winner of a by LynxOfTheWeek (tm). Here are on-line versions of some publications on birds written by Christopher Majka. We hope you find them of interest. Archaeopteryx: Is this bird a fraud? Bird Images: formerly of the Aves archive. 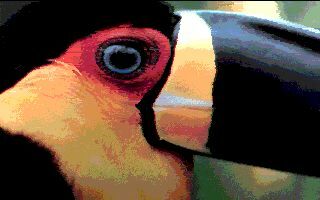 The following websites contain information pertaining to ornithology and the study of wild birds. BirdSource - Cornell Lab of Ornithology & Nat. Audobon Soc. All materials on this site are © by Christopher Majka and Empty Mirrors Press. All unauthorized reproduction is expressly forbidden.